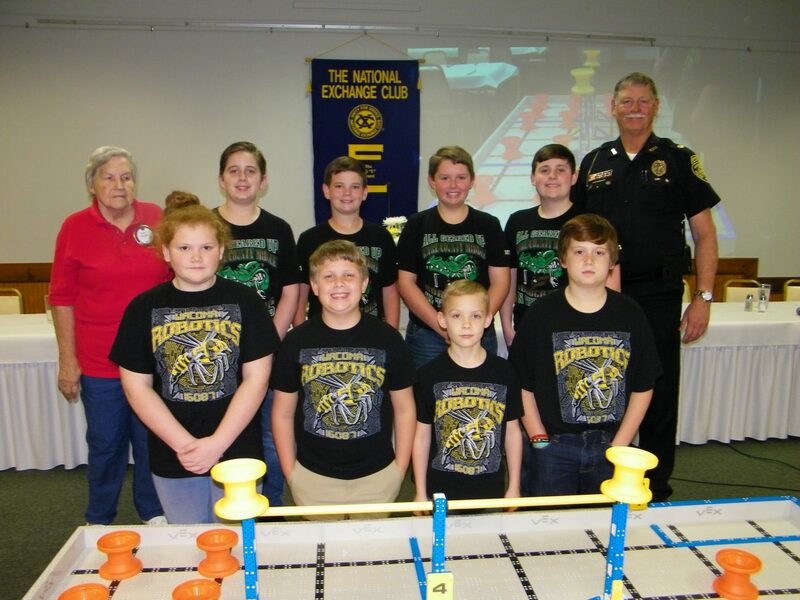 The Waycross Exchange Club recently had the pleasure of hosting the Wacona Elementary-Ware County Middle School Robotic Team (STEM team). Both schools’ students work together as a team. The team has won twelve VEX IQ Challenge Awards after only four years of building and practicing with the robots they have built. STEM means briefly “innovation”. They not only “know” but they do with what they know given the challenge. 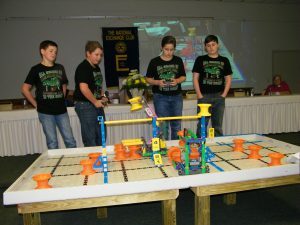 VEX Robotics Competition is a robotics competition for elementary through university students. Students must design, build, program, and drive a robot to complete a challenge as best they can. The VEX robotics World Championship is held in Louisville, Kentucky in mid-April each year. Carl Franz is a mentor to our local Robotics program as well as George Gruver and school teachers. They came in 3rd in World Championship this year! This is a very stimulative school course for students which can lead them to jobs and other spin-offs for students after graduation.